Spring has sprung here in Charlotte! The grey skies are gone and the colorful blooms are here, which has inspired me to spend a little more time outdoors, and of course do a little bit of spring shopping! As the weather transitions from winter's chill to spring's inviting warmth, I find that it is always best to put heavy coats to rest, and start wearing more versatile pieces such as a light sweater. A light sweater will keep you warm enough on the cooler spring days, while not making you too hot if the sun decides to peak out. And if you're like me, in order to make these transitional sweaters a little more interesting, adding fun accessories can really complete an otherwise plain outfit. 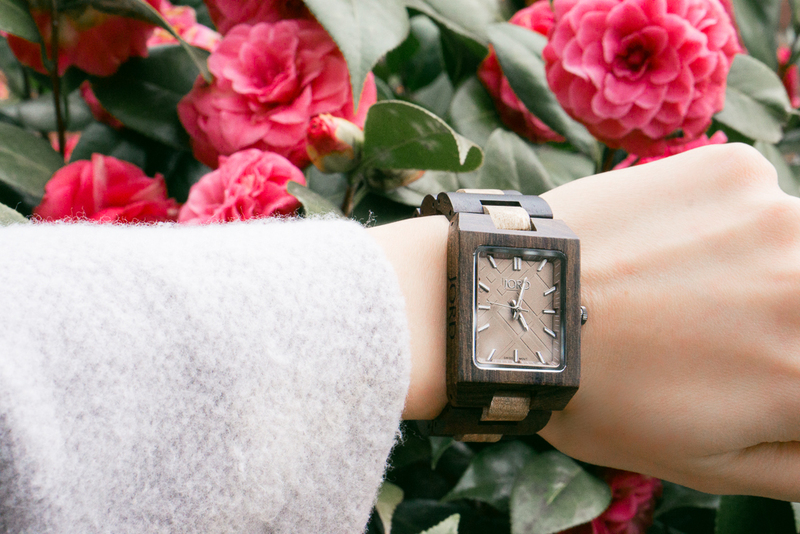 This unique watch from JORD Wood Watches is the perfect accessory to add to your spring wardrobe. Its wood design is perfect for this time of year as nature starts to reveal itself with full blooms and sunny skies. I particularly love this Golden Camphor & Khaki watch because the dark colors add a nice dramatic pop to my standard neutral outfits, while not looking excessive or tacky. 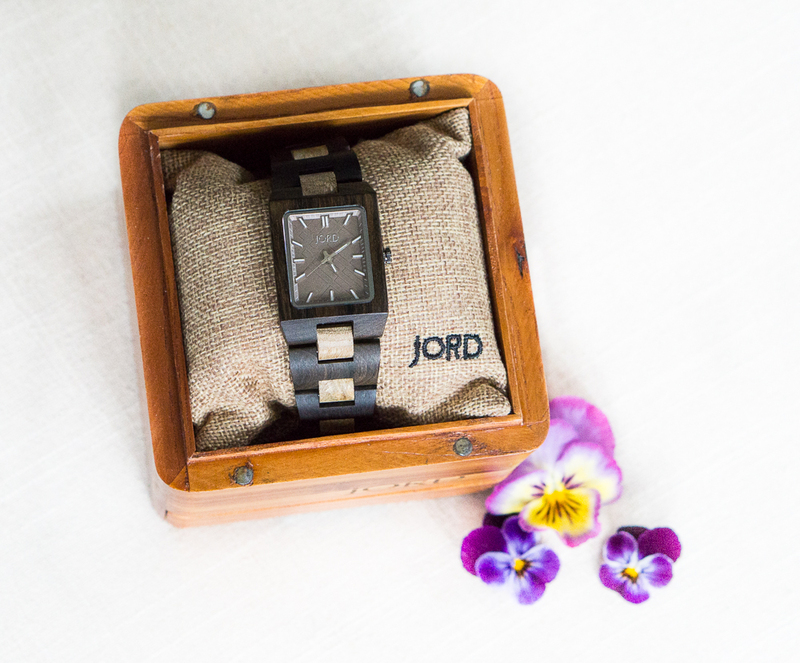 The awesome thing about Jord Wood Watches is that they are completely customizable with your personal wrist measurement and engraving options! Jord Wood Watches has partnered with me to give one of you the opportunity to win a $100 gift code, and EVERY person that enters will receive a $25 gift code to go towards your purchase! All you have to do is click HERE and fill out the form to enter! The contest ends On March 19th, so now is the time to take advantage of this opportunity and enter for your chance to win! Best of luck lovely ladies! I hope you love this watch as much as I do! Thank you, Anne! I love how unique the watch face is! Thank you, Shii! I love the quality and design of their watches. Enjoy the rest of your week girl! Jord always has the cutest watches! They do! They have such unique designs! Enjoy the rest of your week, Kate!